One of the perks of being a wine writer is an invitation to a portfolio tasting from a wine agent. The agency can bring out winery principals in some cases, who you can have a chat to about their wines. They also pour wines that are available at regular retail, specialty wine shops, and special orders. 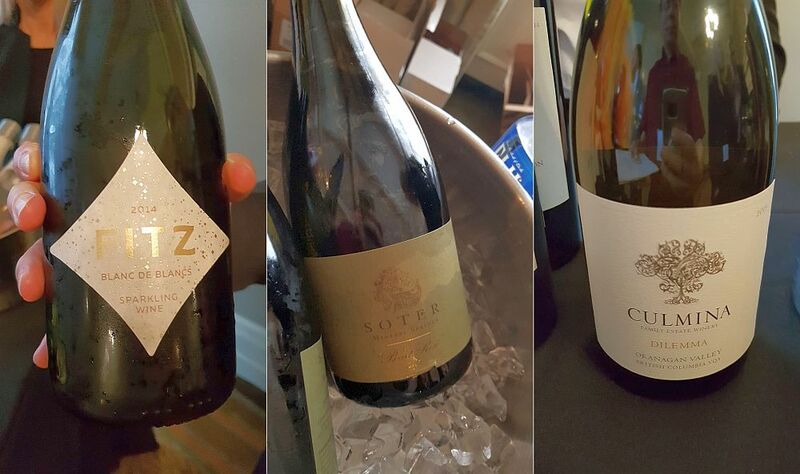 Having access to these wines in one place with sufficient time to go through most, if not all the wines being poured, gives you a really good idea of what the agency is about, and wines that you can recommend to the public for everyday and special occasion drinking. 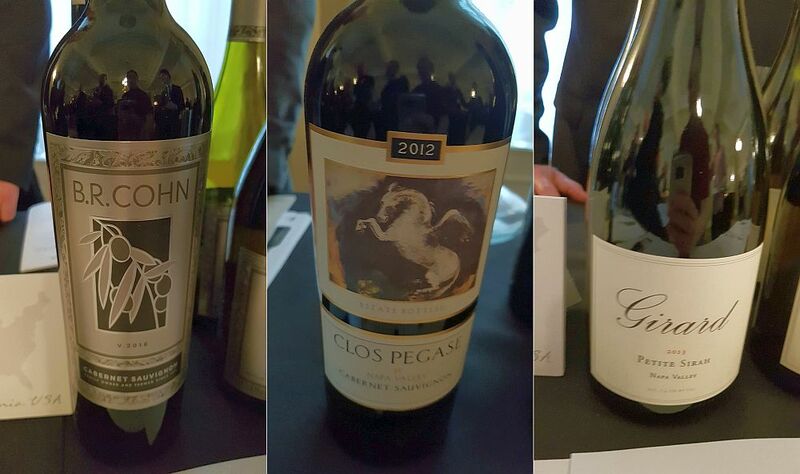 Below are my selected gems from the Vintage West portfolio tasting recently held in downtown Vancouver. 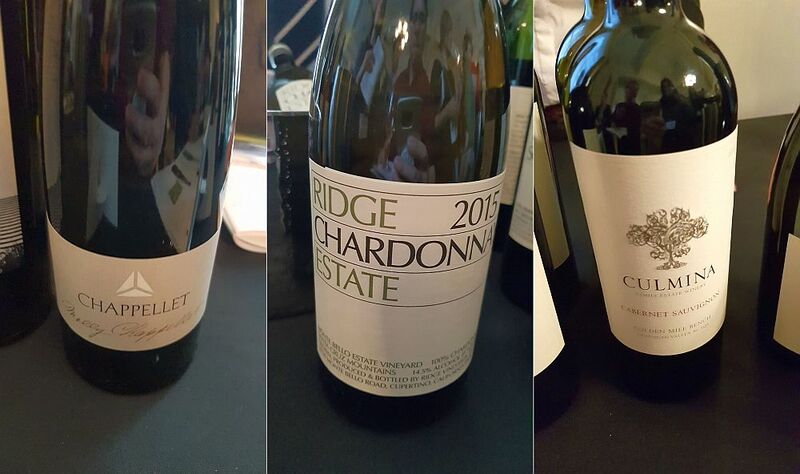 There were a few winery principals from BC as well as California and Australia. When I look through the wines that I’ve listed, and those that are not, I do notice that Vintage West does carry a wide selection of New World wines that are top quality, as well as a lesser number, but also very good Old World wines. I thought I’d divide up my tasting notes into Southern Hemisphere, North America, and Europe to help you navigate the wines. I’ve also ordered within each category with sparkling and white wines first, followed by red wines. Enjoy! Angove Family Winemakers Family Crest Chardonnay 2018, Australia ($28.99) – From a single vineyard, these grapes are fermented in French oak using indigenous yeast. The wine has a light butterscotch and tropical fruit nose. Medium body, dry, with lower acidity and a smooth mouthfeel. Light intensity flavours of tropical fruit and butterscotch, along with a mineral component. Nice and elegant. 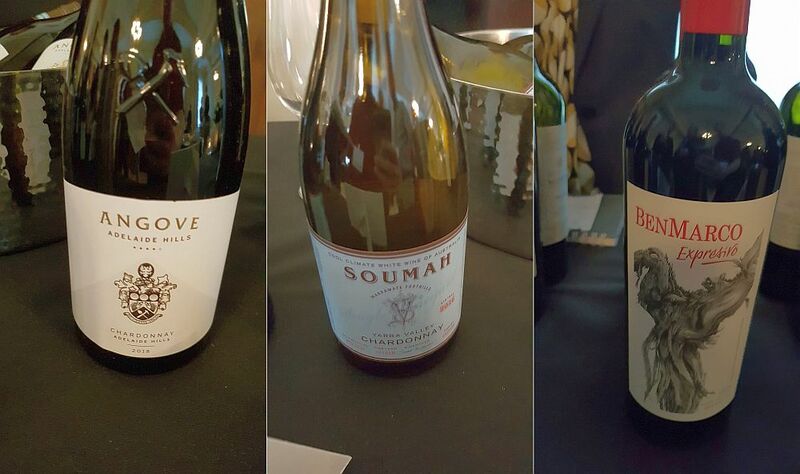 Soumah Chardonnay 2016, Australia ($31.99) – Light bright lemon colour. Toasty tropical fruit nose. Medium plus body, round and smooth mouthfeel. Medium acidity. Lots of tropical fruit flavour along with oak and cinnamon later on the palate. BenMarco Expresivo 2016, Argentina ($47.99) – Opaque ruby in colour. Light intensity nose showing ripe purple fruit aromas. Medium body, dry, with firmer tannins. Purple fruit, nutmeg and allspice flavours, along with some minerality. Spicy. Salentein Numina Cabernet Franc 2013, Argentina ($35.99) – Medium translucent garnet in the glass. Ripe, raisiny plum nose with more on the palate. Also flavours of juicy, ripe red and black fruits, and some spiciness. Medium fine tannins; not too strong. 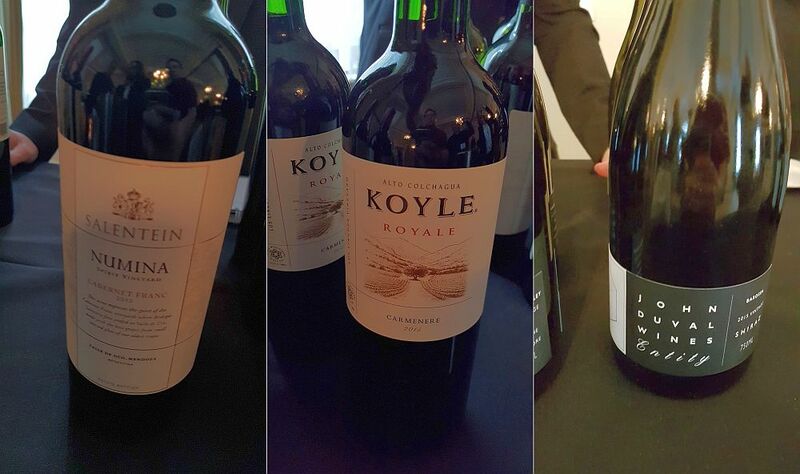 Vina Koyle Royale Cabernet Sauvignon 2013, Chile ($29.99) – Medium translucent garnet in colour. A light ripe black fruit nose. Fuller bodied, dry with ripe, juicy black fruit flavours. Medium tannins. John Duval Pexus SGM 2013, Australia ($57.99) – Medium plus translucent garnet in the glass. Light red fruit nose. Dry, medium plus body. Juicy red fruit flavours along with some sweet spices and oak. Fitzpatrick Family Vineyards Fitz Brut 2015, BC ($32.99) – Made with primarily Chardonnay, and lesser amounts of Pinot Noir and Pinot Meunier. 24 months in the bottle on average before disgorgement. This wine has a watery lemon colour. Light, crisp apple nose. Dry, medium bodied with lots of creamy bubbles. Crisp apple flavours. Tasty. Fitzpatrick Family Vineyards Sparkling Rose 2014, BC ($42.50) – This rose sparkler is made with 100% Pinot Noir grapes. Watery wild rose colour. Nice nose with the aroma of crab apples. Medium plus body, dry with small creamy biting bubble. You get some bruised apple flavour later on as well. Nice. Soter Vineyards Soter Mineral Springs Brut Rose 2011, Oregon ($86.99) – This sparkling wine is made of 90% Pinot Noir and 10% Chardonnay. It is a pale strawberry colour and has a light intensity red fruit nose. Dry with medium body and high acidity. Tiny biting bubbles. Strawberries, red fruit and minerality in your mouth. Tasty! Chappellet Chenin Blanc 2015, California ($53.99) – I stopped when I saw this wine as it is not common for California. I read online that a mere ~5,100 acres of Chenin Blanc are planted in California. A grape that is so food friendly should be more widely grown here. This wine is a medium bright lemon in colour. Nice waxy lemon and honey on the nose. Medium body, round, with a thicker mouthfeel. Apples, citrus and a hint of oranges on the palate. Dry with medium acidity. Very good! Spottswoode Winery Sauvignon Blanc 2016, California ($52.99) – Bright pale lemon in colour. A nice grapefruit nose with more on the palate. I also picked up some guava flavour as well. Dry with medium acidity and some bitter pith. Some pepperiness on the finish. Culmina Family Estate Winery Cabernet Sauvignon 2014, BC ($39.00) – Deep translucent garnet in colour. Chocolate, dark fruit and nutmeg on the nose. The wine is dry, medium plus body, spicy, with flavours of capsicum and dark fruits. Medium acidity and tannins. Clos Pegase Cabernet Sauvignon 2012, California ($66.99) – Lighter translucent garnet in the glass. Light, ripe blackberry aromas. Full body, dry with medium acidity and finer tannins. Light intensity dark fruit flavours and peppery finish. I only wish the length was a bit longer. Girard Napa Valley Petite Sirah 2013, California ($44.99) – Medium plus translucent garnet in colour, with a ripe sweet dark plummy nose. Full body, round with medium acidity and fine tannins. Ripe black fruit flavours and peppery. A strong wine! Blackbird Vineyards Paramour 2014, California ($118.99) – On the other hand this blend is primarily from the Cabernet Franc grape. This vintage is 84% Cabernet Franc, 9% Cabernet Sauvignon, and 7% Merlot. Medium translucent garnet. Light red fruit nose. Smooth but there are firm tannins lurking behind the ripe red fruit and sweet spices on the palate. Firm tannins on the finish. 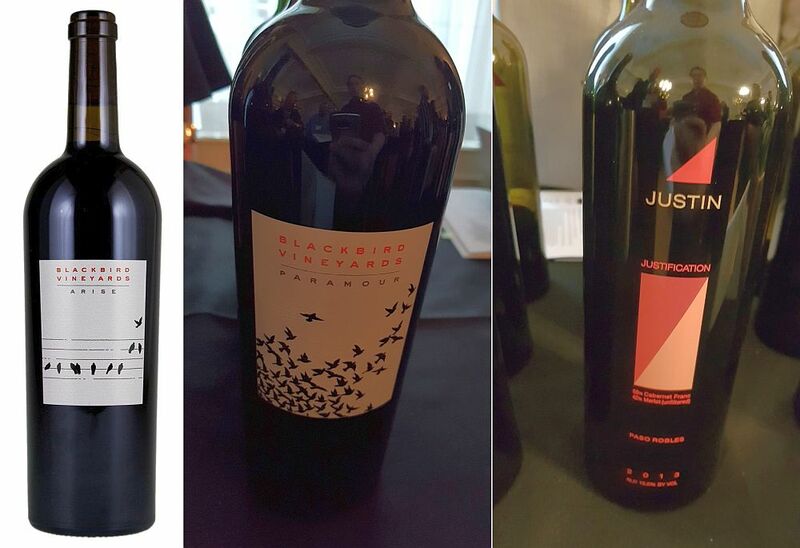 Justin Justification 2013, California ($74.99) – This a blend of Cabernet Franc and Merlot. It is deep garnet, yet still translucent in the glass. Very ripe blackberries and sweet spices on the nose. Full body, round with medium tannins and acidity. Deep dense ripe black fruit flavours and some pepperiness. Justin Cabernet Sauvignon 2016, California ($42.99) – Medium translucent garnet. A nice red fruit, sweet spice, and plum nose. Dry with medium plus body; roundish. A mix of red and black fruit flavours, with allspice and pepper too. Boutinot Wines La Cote Sauvage, Carianne Cotes du Rhone Villages 2015, France ($29.99) – A GSM blend. It is medium translucent garnet. A light ripe black fruit and oak nose. Light body, dry with fine tannins. Flavours of sweet ripe red fruit with black fruit behind. Sweet spices as well. Boutinot Wines Les Six, Carianne Cotes du Rhone Villages 2014, France ($30.99) – This wine is medium translucent garnet in colour. Ripe blackberries, raspberries and plums on the nose. Medium body with softer acidity and tannins. Juicy black fruit and black cherry flavours. Soft finish. So tasty.